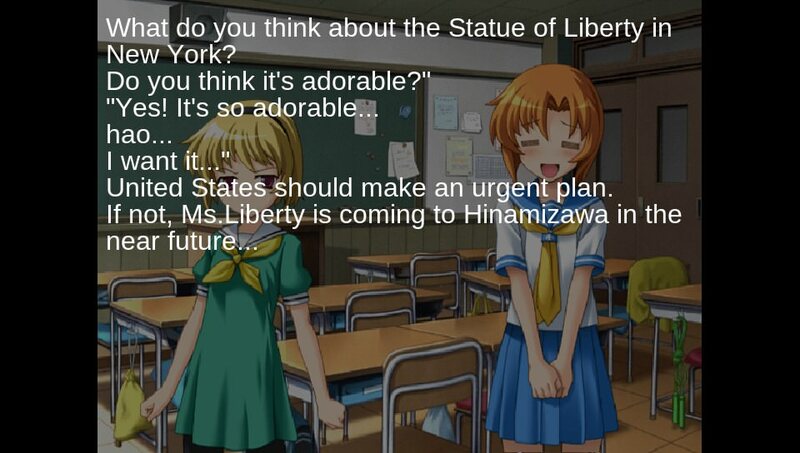 Note - This is a thread for info about Higurashi-Vita's ability to play VNDS games, this is the same application. On the download page you can choose to download the VPK with the Higurashi-Vita LiveArea, the VNDS LiveArea, or both. Both VPKs work the same. Note #2 - If you're ever having any crashes or other problems, make sure you've used the latest version of the game converter and the Vita application before reporting a bug. Bugs can be reported by posting in this thread, sending me a PM on this forum, making an issue on the Github repo, or sending me an email. My email can be found on my Github profile once you're signed in to Github. VNDS was a homebrew visual novel engine for the Nintendo DS. Some games were ported to its simple scripting language, allowing people to play some visual novels on their DS. Examples of games ported to VNDS are Umineko, Higurashi, and Fate/Stay Night. There is also an was an Android version of VNDS that supports higher resolution graphics. Higurashi-Vita, my homebrew visual novel engine, can now also run VNDS games in addition to what it can already do. This thread is for the discussion of that feature. A game converter is still required for reasons I can't really control, see the FAQ for specifics. I have tried to fully implement everything. Many people have tested different games, so it should be pretty stable. Still, if you run into any problems please post and I'll try and fix them as soon as possible. This can run games with high resolution graphics intended for Android devices, DS games will work too. The script converter should work for all Windows users. Linux and MacOS users will need to run the program with Mono. 1. Get a game in the VNDS format. This usually involves downloading a converter for a certain game, but if you are a bad boy then you may have downloaded a game already in the VNDS format. If its file extension is .novel, I think it's just a ZIP file you have to extract first. 1.5. Check if your game has any .aac audio. If it does, you'll need to follow the tutorial for using FFmpeg with this. 2. Download the game converter and extract the ZIP file. 3. Run the script converter. 4. Select the root folder of your VNDS game. If you're on Windows, you can use the GUI file picker. If you're using Mono, you'll just need to copy and paste the folder path. 5.5. If the program is skipping .AAC sound files, you need FFmpeg. There's another tutorial I made on this thread for how to do that. 7. The converted game will be in the same parent folder as your source game, with "-converted" added to the end. For example, if my source game was at C:\Games\higurashi\ then the converted game would be at C:\Games\higurashi-converted\. 8. Copy the converted game to your PS Vita inside the folder ux0:data/HIGURASHI/Games/. 1. Get a game in the VNDS format. This usually involves downloading a converter for a certain game, but if you are a bad boy then you may have downloaded a game already in the VNDS format. 3. Download FFmpeg. Read on for how to do this. There are instructions for both Windows and Linux. 3.2. (Windows) - Click the big Windows logo under "Get the packages"
3.3 (Windows) - Click "Windows Builds." You're now on a page where you can select a version, architecture, and linking option. 3.4 (Windows) - The version you choose doesn't really matter, I choose 4.0. For architecture, choose "Windows 32-bit." For linking, choose "Static." 3.6 (Windows) - Inside the FFmpeg extracted files, go into the "bin" folder. 3.7 (Windows) - Copy all the exe files from the "bin" folder to the same folder as the VNDS game converter. 3.1 (Linux) - Installing FFmpeg is different depending on your distro. For Debian, I was able to just use "sudo apt-get install ffmpeg". If that doesn't work, you'll just need to google how to install it on your particular disto. 4. Run the script converter. The script converter should say that FFmpeg is detected. On the Windows GUI, look at the bottom of the Window. For Linux, look at the first line the terminal outputs. If it doesn't say that FFmpeg is detected, abort mission. 5. Select the root folder of your VNDS game. If you're on Windows, you can use the GUI file picker. If you're using Mono, you'll just need to copy and paste the folder path. 6.5. The program should not say that it's skipping AAC files. At very least, it'll try to run FFmpeg. If it's working, you'll get like 5 lines of output per sound file. If it's not working, it'll say that "ffmpeg" is an unknown command, or something like that. 6. Wait. This could take a while depending on how many sound files you have and how fast your computer is. It took me like 6 minutes to do just above 2000 sound files on my SSD. It took like an hour to do Umineko's 17,000+ sound files on my normal HDD. Auto Voiced Speed - How many milliseconds the program waits before advancing if there's a voice line that goes with the text. The timer starts when the voice line ends. Overclock CPU - Colored green if it's on. Stuff will load faster. BGM Volume & SE Volume - 4 is max, 0 is disabled. Font Size - After changing the setting with left and right buttons, press "Test" to reload the font with that new size so it looks good again. I think 32 is the default font size. Textbox - "Full" makes text start at the side of the screen. "Small" makes text start at the start of the background. Text Speed - How many characters are displayed per frame. Message Box Alpha - How dark the black filter over the art is. 255 is solid black and will keep you from seeing the graphics. 125 is nice. Bust Location - Does nothing. Clear at bottom - If the text will clear and start from the top when it hits the bottom of the screen. The original VNDS would just push all the old text up when it reached the bottom of the screen. VNDS Warnings - If you want to be warned when images files aren't found. Text Mode - NVL or ADV. NVL has the textbox take up the entire screen, ADV is a smaller textbox at the bottom of the screen. VNDS Imagre Fade - If VNDS images should have a fadeout animation. The original VNDS did not have these fade transitions, so you may want to turn this option off for some games. * The game may crash after returning from the LiveArea or sleep mode. * The sound command can't stop all currently playing sounds or play a sound multiple times with one line. Will probably implement eventually™. * WAV files will be ignored. * Colored text not yet supported. The markup for it will be hidden though. Why do I need a game converter? I hate you. 1. libvita2d isn't great at loading and displaying weird images. This problem actually killed a different attempt at this same project. Specifically, a PNG with a bit depth of 1 (or was it 2) will make the program completely crash, a JPEG with a bit depth of 8 won't be displayed correctly, and certain PNG images will crash the program when loaded apparently because of their dimensions. 2. Some games use .aac audio, which I think I can't add support for because it's a copyrighted format. Therefor it needs to be converted to a different format. 3. Some games store their assets in zip files. I can't be bothered to support loading assets from zip files. 4. Nobody actually asked this question, I made it up. The goal is for every VNDS game ever made to be compatible. If you find a VNDS game that isn't compatible, please report it to me and I will fix it ASAP. Higurashi When They Cry with high(er) resolution graphics intended for Android. This screenshot is slightly outdated, smoother image scaling is now used. 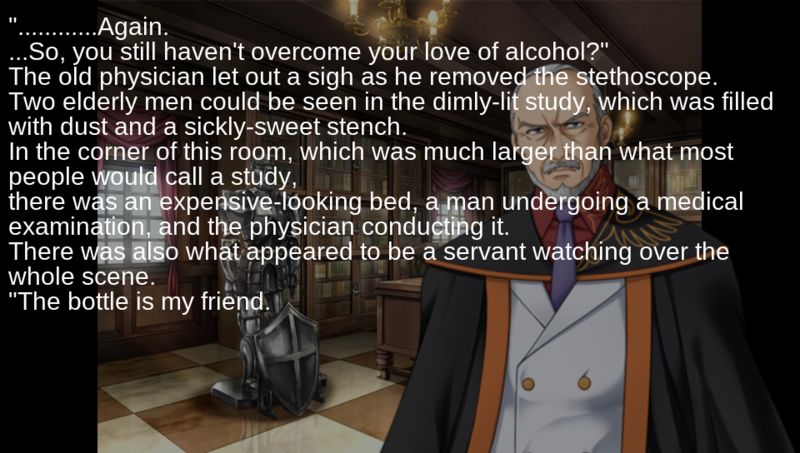 Umineko. There is a setting to make the text start where the background starts. In this screenshot, it's off. In the Higurashi screenshot, it's on. * See ux0:app/HIGURASHI/License/ or ux0:app/VNDSCLONE/License/ for full license list. Last edited by MyLegGuy on Sat Dec 22, 2018 12:04 am, edited 24 times in total. I finally got around to testing this out, so far Saya No Uta is running great. Also the quality is way better than the PSP port someone made. Having some trouble. I think it's due to the limitations of the Vita however, and not your homebrew. I converted Fate Stay Night to VNDS. However there are about 20,000 audio files thrown into one (SE) folder. This not only causes the game to crash upon boot, but loading VitaShell took a insane amount of time. Would it be possible to automate some kind of sub folder structure for the audio files? If not it's still not bad, you can get by with just BGM Installed I suppose. I like your subfolder idea and I'd be happy to implement it, but I'm not sure the crash is because there are too many files in the folder. I have the same game with 26864 sound files and it works. Does it crash right after you choose the game from the selection menu? In that case, it's probably the font file. If you're actually able to start the game, maybe you could narrow it down to just one command or sound file causing the crash? The game starts at main.scr and you can insert `text <string>` commands to seperate commands. It was running perfect without the sound files installed. It crashed right after selecting the game title/folder from the VNDS app. Not sure what caused the crash I can try again tomorrow. Glad you got you have this game working though! 1). If this game was ever officially localized it would be censored. 2). The official game doesn't look too far off from your VNDS Homebrew. What homebrew VPK should I be installing by the way? It's a bit confusing, I can't tell what the latest version is. Ok I have no clue what was causing the game to crash, it just works now. Perhaps one of the audio files corrupted. I still think this port would benefit from audio sub directories if it can be achieved easily. For example audio files starting with A would go into SE/A or something alike. I notice lag when the Vita is searching for the correct audio file, but only on this specific game. Totally not necessary but would be cool. It was running perfect without the sound files installed. It crashed right after selecting the game title/folder from the VNDS app. Huh, weird. Maybe it was the font file or thumbnail images after all because nothing sound related is touched at that point. Actually, it doesn't matter anymore. Hotfix 3 was released if you want slightly better sound loading times. If not, Hotfix 1 and 2 are basiclly the same. Just tested it out myself. I'm embarrassed this homebrew has been out for this long with people experiencing this. I did some tests and opening files is significantly faster when there are less files in the folder. I did a test with 20,000 files in a folder, 1,000 files in a folder, and 500 files in the folder. Checking for a file that doesn't exist took a long time in the 20,000 files folder, 67 milliseconds on average in the 1,000 files folder, and 33 milliseconds on average in the 500 files folder. Because the 500 files folder took almost exactly half as long as the 1,000 files folder, I assume that splitting up the sound files into folders and then checking every folder wouldn't speed up the process. So I need to have a good idea of which subfolder(s) to check. That's where you suggested alphabetical order. That would work perfectly here, for this specific game, but not really for a different game. What if all the files started with "fatesound_"? Then all the files would just be put in the "f" folder. So I'll need a different method of figuring out which subfolder a sound file will be in. Right now, my idea is to kind of have a dictionary of sound files that the program loads at the start telling it which subfolder each sound file is in. If searching through this dictionary is significantly faster then searching through 20,000 files, I'll do it. If that still doesn't work, I have a sloppy backup plan which is guaranteed to work. tl;dr: Yeah, you're right. I'm on it but it may take a while. Yeah, I'm open to that idea. I'd need art for it though. Sweet I'll try hotfix 3, and then I'll make some borders on Photoshop later. Not sure how I should do it though? Should they be full sized Vita resolution images that go behind? Or do they need to be two sepperate images just for the borders? Not sure what would be easier for you. Not sure how I should do it though? Most VNDS games made for Android devices have a resolution of 640x480, which is also the original resolution of the regular Higurashi backgrounds. When those backgrounds are scaled to fit the height of the screen, they're 725x544. My program takes the remaining pixels (235), divides it by two, rounds down, are starts the background at that X position to center the image. This gives you 117 pixels on the left side of the image and 118 pixels on the right side for your border. Because the VNDS Android backgrounds are just 2.5 times the size of the DS VNDS sized backgrounds, you get the same amount of border space when playing DS games. I guess just do two separate images because it's a little bit faster. My sound file dictionary idea will work and be efficient. I'm about to start working on an update for the game converter to implement it. Sounds awesome! I haven't even tried hotfix 3 yet. I injured my foot today so I guess I have nothing but time now. Not sure if you tried Saya No Uta but it loads insanely well. Smaller games are working super decent. I plan to test way more VNDS games. IMO this is one of the best homebrew I could hope for (and it seems like you always make these updates just for me). Anyway big thanks. Forgive my ignorance, just to clarify the boarder images would need to be 117x544? Or 117x480 on the left side? I get what you mean but not sure on the height. Thank you. Every time I'm loosing motivation, or feeling lazy, these types of comments push me to keep working. Yeah, I guess I should write less stupidity and just get right to the point. 117x544 for the left border, 118x544 for the right side border. The new converter is awesome! 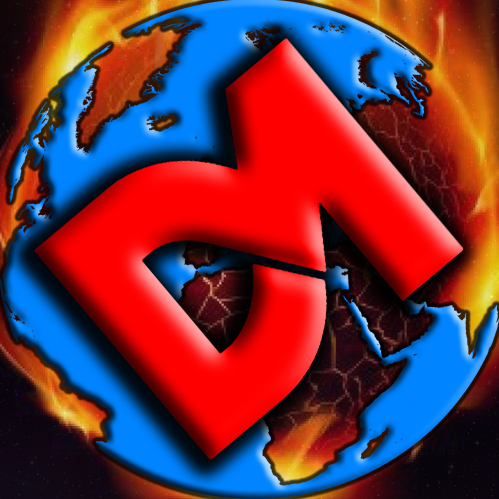 For anyone following this thread, we have have been discussing on discord not here. So the new converter is out, and fixes all the sound issues with Fate Stay Night. All thanks to community ideas and a awesome developer who cared about those ideas.